It’s a long, rocky road when putting up, running and growing a business. For start-ups and SMEs, growth can be stunted by non-core tasks that pile up—moving the focus from strengthening the core business into just covering day-to-day tasks. 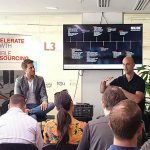 On 28 September 2017, Bas Mawhin, SHORE Solutions’ Sales & Marketing VP, introduced SHORE’s flexible outsourcing solutions—particularly for start-ups and SMEs—to Tank Stream Labs, Australia’s largest co-working space for tech start-ups. Outsourcing for start-ups and SMEs For the next generation of businesses, a globalised workforce is a must-have for growth. SHORE’s agile outsourcing solutions help emerging businesses and industry disruptors focus on growing their core business and achieve accelerated growth via expertly-run offshore teams capable of doing a wide variety of services including contact centre, back office, software development, graphic design, etc. Offshoring provides a competitive edge by reducing costs and increase savings that can be used to grow other areas of the business. 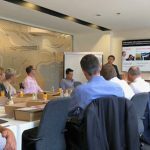 Start-ups and SMEs can gain access to skills and services that augment rather than replace onshore staff and can scale quickly with the business. 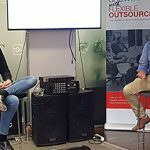 The traditional outsourcing approach may not be the best fit for businesses that don’t have the economies of scale and require more flexibility and day-to-day control. Flexible, innovative outsourcing SHORE’s solutions have enabled clients to go offshore based on their strategy and readiness. Mawhin outlined the three distinct outsourcing models that give our clients the flexibility to select their level of involvement—from setting up the business to full outsourced management of some or all project components: Mawhin highlighted two clients that quickly improved their customer service delivery, propelling company growth with an agile offshore team that scaled up with them to match rising demand. 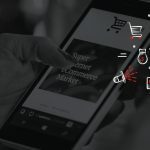 One client, an Australian e-commerce store, started with just three agents doing customer service work. Local talent quickly scaled to leadership and specialist positions. Now, all core operations functions are based in Manila with over 50 FTE. Another client is an Australian company running an online and mobile marketplace, enabling users to outsource everyday tasks. Starting out with only five agents doing back office and support functions, operations have since grown substantially with aggressive growth plans in the pipeline including offshoring other LOBs and 24 x 7 operations. With SHORE shaping up outsourcing options to provide the flexibility and scale that young challenger businesses need, the question is how far can innovative and flexible outsourcing take your business? The sky’s the limit. Ready to scale but unsure about outsourcing? Download our “Outsourcing at a glance” to learn more.